Christians struggle to pray. Or at least, that’s what I hear. Church attenders, my students, and pastors all express to me their dissatisfaction with how they pray. They’ve heard that they should pray. They want to pray. But they tell me that they don’t pray enough, that they’re not sure how to pray, or that they have some other frustration with their prayers. I hear people express guilt that they pray too little, or that they don’t pray the way they’ve been taught to pray. There’s something wrong with this picture. Prayer is central to Christian life, and infuses the entire Bible. Surely Jesus’ followers can expect to enjoy praying in a whole variety of ways. In this blog post I’ll indicate some reasons I hear Christians give for why they pray; and I’ll name my dissatisfaction with those reasons. In next month’s post about prayer, I’ll propose other reasons for praying—reasons that I find more compelling and helpful. At first blush, I can think of five reasons that many Christians pray. (1) Some pray in order to ask God to do something, to give something, to change something (or someone), and so on. In prayer, people ask for peace, wisdom, boldness, revival, and healing. Two international students have told me that the measure for judging true and effective prayer is whether God answers a particular prayer. (2) Other Christians pray in order to thank God for his gifts, or to praise God for who God is (praising is said to be more noble than thanking). For Christians who have difficulty grasping that God would answer their prayers, simply thanking God can come more easily—as evidenced by the kinds of ‘thanking-only’ prayers that are featured in television specials at Thanksgiving. (3) Friends have told me that they pray in order to listen to God—in other words, to be influenced by God. Silence before God is thus considered to be a legitimate form of prayer, even the highest form of prayer. (4) Some Christians say that their entire lives are prayer. I think, for instance of Melody Green’s 1978 song “Make My Life a Prayer to You.” Some of those who say their entire life is prayer, also downplay the importance of spoken prayer. (5) And although no one has said this to me explicitly, I imagine that there are Christians who pray simply because the Scriptures teach God’s people to pray. Each of these answers has merit; and most have a biblical basis. Yet I also find that each of these answers is in some way insufficient. (1) The scriptures certainly highlight prayer as intercession and petition—as illustrated by the Lord’s Prayer. Yet, if prayer is primarily asking, then why does so much of our asking seem to go unanswered? Why, for instance, do people suffer even when they ask God for relief? 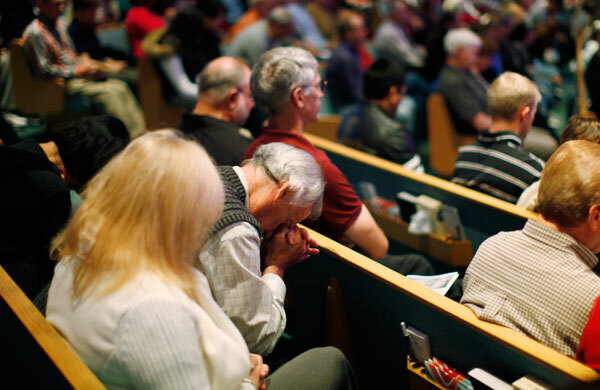 (2) On the other hand, if prayer is simply thanking and praising—both of which are prominent in Old and New Testament prayers—why do Jesus and the epistle writers make bold claims about the effectiveness of prayerful asking? (3) Stillness before God is included in the Psalms (which are a prayerbook for Jews and Christians alike); and Jesus’ own ways of praying aligned him with God’s intentions—a form of listening. And yet the Bible does not generally emphasize prayer as listening—especially compared to the Bible’s emphasis on prayer as asking. (4) If prayer consists only of one’s lived life (an emphasis that I do not see spelled out in Scripture)—that is, if prayer is everything, is prayer anything? As C. S. Lewis once stated, if the meaning of the word ‘gentleman’ is extended to include all male humans, then the word ‘gentleman’ has lost nearly all its original meaning. (5) While it is good and right to obey the teachings of Scripture, people who have even a basic understanding of the purposes of prayer will be more likely to weave prayer into the fabric of their lives. In light of these objections and shortcomings, I’ve therefore been casting about for something higher, deeper, or more basic that I can say about why Christians pray. In April, as Part 2 of this post, I will propose a relational basis for praying. Stay tuned—and let’s keep praying. P.S. I’d love to receive your comments, questions and proposals to this post. 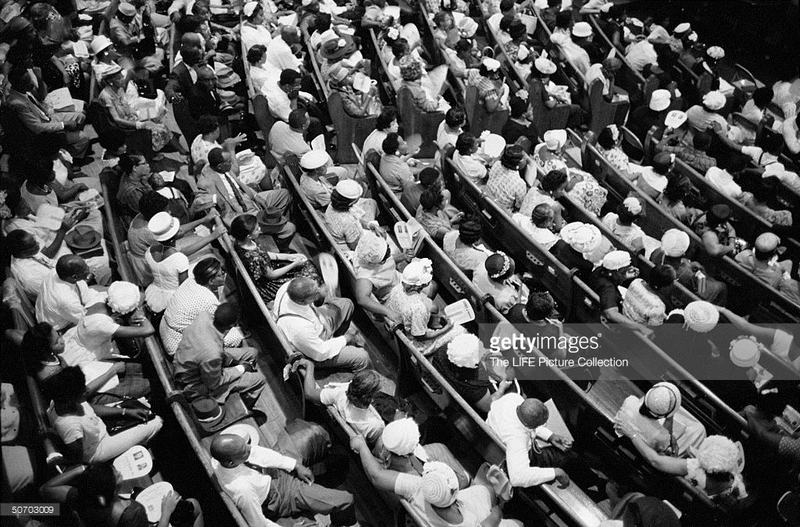 Photo credits: www.flickr.com/photos/justcooltom/5261409347/in/photostream/,  www.gettyimages.co.uk/detail/news-photo/baptist-church-congregation-praying-for-freedom-riders-news-photo/50703009, and www.christianpost.com/news/francis-chan-christians-not-praying-how-god-intended-64814/. This entry was posted in Uncategorized on March 5, 2015 by adyck1.